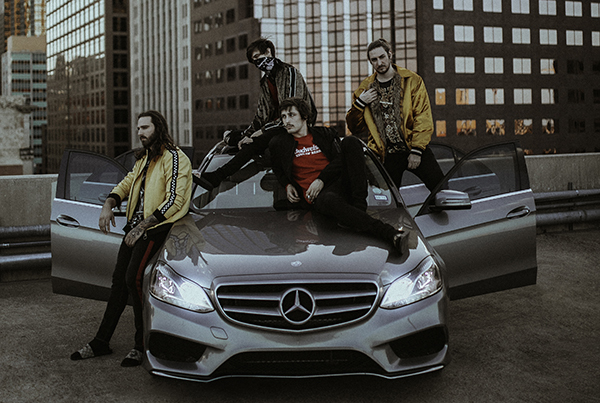 Genre-blending instrumental heavyweights, Polyphia, have shared “Yas”, the third single from their upcoming album "New Levels New Devils" (out October 12th on Rude Records in partnership with Equal Vision Records), along with an accompanying video. The track boasts lush riffs, innovative percussion and impeccable production, as well as features from fellow guitar virtuosos Mario Camarena and Erick Hansel from Chon. Production on “Yas” comes from LA based, hip hop producer Y2K (Killy, Yung Bans) and The Worst, also known as Tim Henson (Polyphia). "New Levels New Devils" will be the band’s third full-length album and features guests from all over the map including guitarists Ichika, Mateus Asato, Jason Richardson, Erick Hansel and Mario Camarena from Chon, Yvette Young from Covet. The only vocal feature comes from one of this year’s most exciting new producer, singer and multi-instrumentalist, known as Cuco.